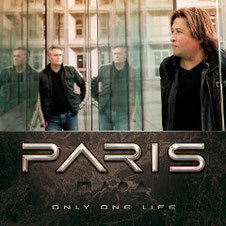 Melodic Rock outfit PARIS will release their debut album "Only One Life" through Avenue Of Alies Music on April 12th. 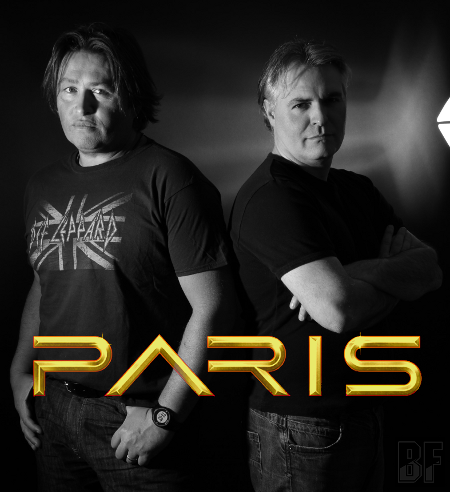 In 1985 Frédéric Dechavanne and Sébastien Montet founded their first band together in Paris, France and started to write their own songs. On the album, the two founders are responsible for the songwriting, lead vocals, guitars and keyboards. All songs written by Frédéric Dechavanne except "America and "South of Love" written by Frédéric Dechavanne and Sébastien Montet. Produced, mixed and mastered by Alessandro Del Vecchio at Ivorytears Music Works, Italy. Also the album features Anna Portalupi (Mitch Malloy, Lionville, Hardline) on bass, Alessandro Mori (Mitch Malloy, Lionville, Axe) on drums, Alessandro Del Vecchio and Steve Newman (Newman, Big Life) on backing vocals and Robert Säll (Work Of Art, W.E.T.) on lead guitars on the track "America".